– designed to protect your investment from the harshest weather conditions. Every one of these covers is designed and manufactured to perform season after season for years to come. 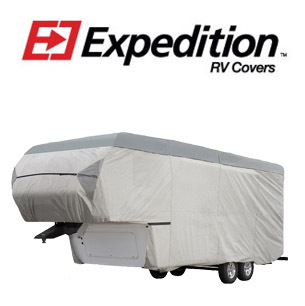 Innovative features, fabric and fit make it truly the best value in a protective cover for your RV. Zippered panels allow easy access to front, back and sides. Simply roll up and velcro in place. 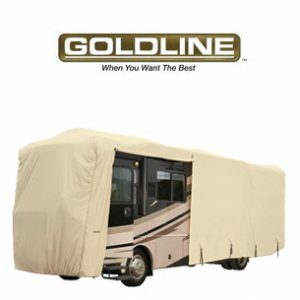 Durable, custom UV fabric offers superior tear resistance, is water repellent and protects against sun damage and dirt. 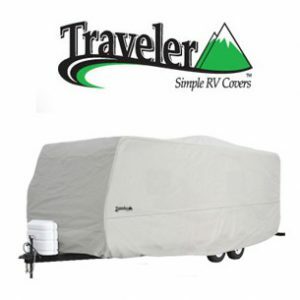 All covers come with a free storage bag and 3 year warranty.